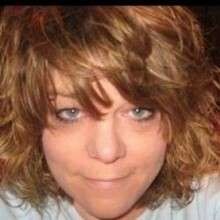 Maria Denea (Price) Richardson, 50, of Gutenberg IA formerly of Duluth, Mn, Passed Friday November 16, 2018. Maria was born to Donald V. Price and Lavonda Sue (Eder) Meyer, December 23rd 1967. Maria graduated from Hermantown High School in 1986 and received a Medical Assistant degree from Duluth Business University. Maria worked at University of Minnesota Duluth Health Services and as a waitress at Country Kitchen in Proctor, Mn. Maria retired with disability in 2014 and moved to Guttenberg where she worked at Dollar General and Subway. Maria had a heart bigger than life. She helped anyone in need, often leaving herself without. Her selfless spirit and kind soul brightened so many lives. Maria's smile and funny remarks will never be forgotten. Left to cherish her memory are her daughters: Nicole Leigh Richardson (Dane Schroeder) St Olaf, IA and Breeanna Richardson Cocoa, FL; two Grandchildren: Aedyn Matthew Richardson of Proctor, MN and Brooklyn Rose Schroeder of St Olaf, IA; mother and stepfather Sue (Gary) Meyer, Garnavillo IA, brother, Terry Price, Guttenberg IA; step sister, Jessica (Mike) Gilchrist of Knoxville, TN; Her Loved puppy, Princess, aunt, uncle, nieces, nephew and friends.